Mold contamination is one of the most disastrous types of problems that can happen to a home or business structure. 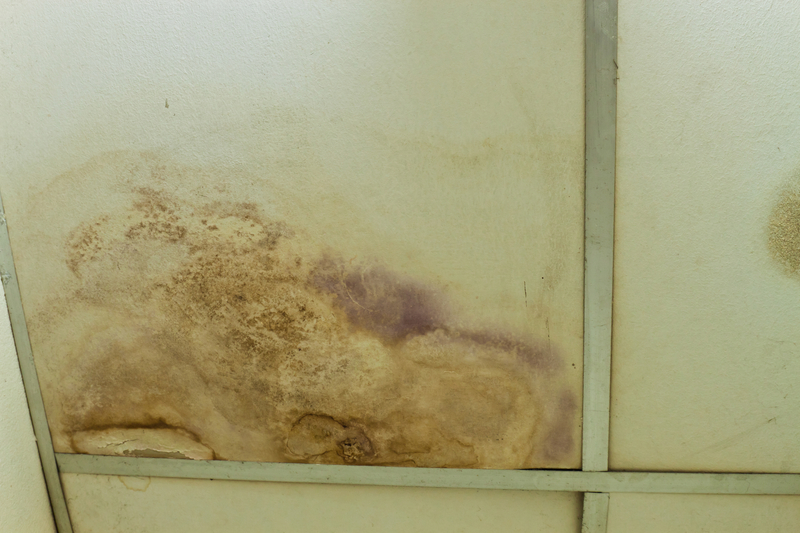 Surface mold is ugly, yes, but when you have surface mold you can guarantee that there is mold beneath the surface that is doing more harm to your property. Mold is often found as green or black spots around window sills, on bathroom ceilings and walls, around the caulking and tile in bathrooms, and in other musty, damp places. When a property is contaminated by mold, you’ll often get a foul, musty odor that doesn’t go away. Not only is mold contamination destructive to property structure, it can be extremely hazardous to one’s health. People often believe that using bleach on surface mold will remedy the contamination problem. However, this is not true. When mold appears on the surface, it is time to call in a professional mold remediation team to find the source of the mold and eradicate it from the source of the problem. If the mold is not eliminated at the source, it will continue to return and spread, causing an even bigger disaster and more money to remedy. Mold doesn’t always cause a severe health problem, but for infants, the elderly, and people with respiratory problems, mold can be quite hazardous. People with asthma, emphysema, or allergies can be harmed by mold. Some people only develop small allergies to the mold, but others may be hospitalized due to their personal health troubles and how mold affects them. One of the biggest mistakes a property owner can make when it comes to mold contamination is trying to save money by removing the mold themselves. Most people do not have the proper equipment to identify the source of the mold problem which means they won’t be able to eradicate the source of the problem. When the source is not eliminated, the problem is only stifled. Removing mold the wrong way can also lead to the spreading of mold spores. So, instead of removing the mold, it is being spread to other areas to begin the contamination problem again. Successful mold remediation technicians are trained to find the source of the mold problem, successfully remove the mold, and remediate the home so that the mold no longer becomes an issue. Mold remediation professionals can perform an initial evaluation to find out if mold is present in other areas of the home or property that you may be unaware of. Professional mold remediation teams are trained and certified to use the right type of equipment to evaluate the mold problem and identify the source. They know which types of cleaning and removal techniques to use on different types of material and they are educated in successful mold remediation methods. An accountable and professional mold remediation team like Fix Nou Restoration in Salt Lake City is the right type of help for any home or business owner. Save yourself time and money and cut out the source of your mold problem right now!